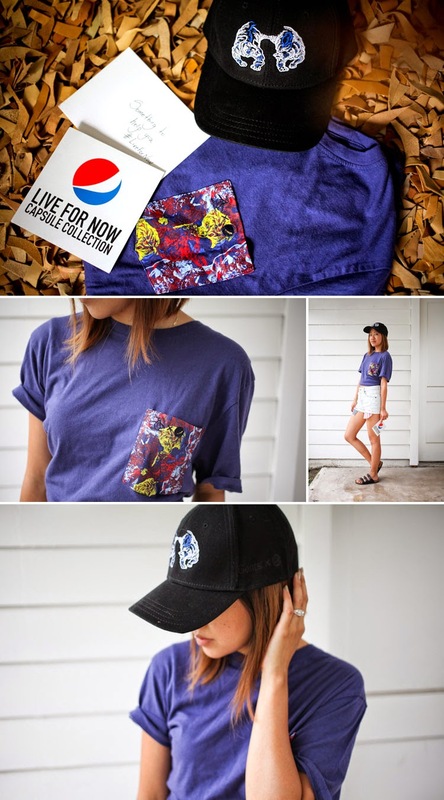 Pepsi launched it's first ever capsule collection mixing both street art and soccer to make this enviable collaboration just in time for the World Cup. The collection comprised of 6 brands and 6 artists features a mix of exclusive pieces from Bang & Olufsen, Original Penguin, Shut, Gents, Goodlife, and Del Toro. With artists Nicolas Romero aka Ever, Hattie Stewart, Franco Fasoli aka Jaz, Merijn Hos, Ricardo Akn, and Zosen Bandido lending their skills for the pieces. You'll find pieces from headphones, shoes, tees, and more. Shop the website, or pick it up at Bloomingdales in the US, Liberty in London and Colette in Paris. Oh and be sure to check out the lookbook video and get inspired. fun t-shirt - luck you got it!